When we were in vietnam we saw a lot of people of all ages playing a game they called featherball. They were standing in a circle and kicking the featherball. Its really difficult to explain how it looks but is were feathers with a bouncing meganism. Jianzi (Chinese: 毽子), tī jianzi (踢毽子), tī jian (踢毽) or jianqiú (毽球), also known by other names,[which?] is a traditional Chinese national sport in which players aim to keep a heavily weighted shuttlecock in the air by using their bodies, apart from the hands, unlike in similar games peteca and indiaca. The primary source of jianzi sport is a Chinese ancient game called cuju of the Han dynasty 2000 years ago. Jianzi’s competitive sport types are played on a badminton court using inner or outside lines in different types of jianzi’s competitive sports, respectively. it can be played also artistically, among a circle of players in a street or park, with the objective to keep the shuttle ‘up’ and show off skills. In Vietnam, it is known as đá cầu and is the national sport. In the Philippines, it is known as sipa and was also the national sport until it was replaced by arnis in December 2009. In recent years, the game has gained a formal following in Europe, the United States, and elsewhere. In English, both the sport and the object with which it is played are referred to as “shuttlecock” or “featherball”. 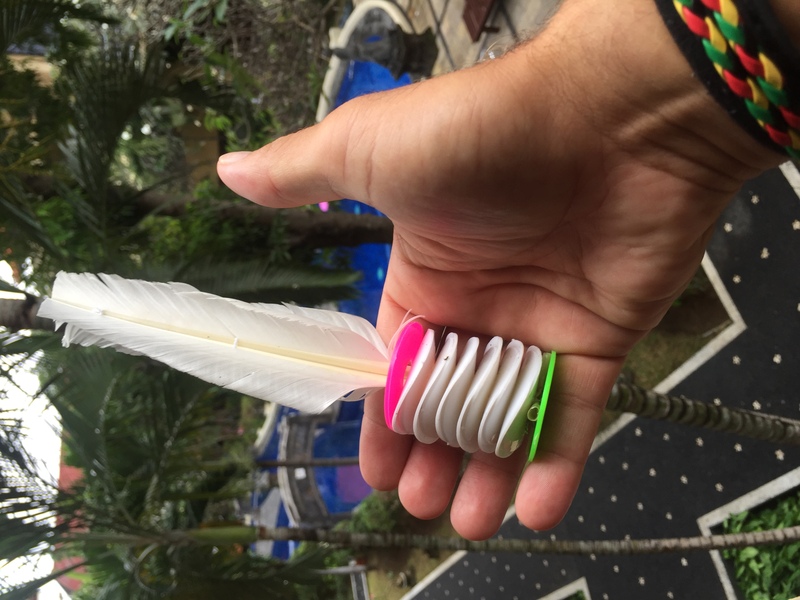 The shuttlecock (called a jianzi in the Chinese game and also known in English as a ‘Chinese hacky sack’ or ‘kinja’) typically has four feathers fixed into a rubber sole or plastic discs. Some handmade jianzis make use of a washer or a coin with a hole in the center. During play, various parts of the body (except for the hands) are used to keep the shuttlecock from touching the ground. It is primarily balanced and propelled upwards using parts of the leg, especially the feet. Skilled players may employ a powerful overhead kick. * Duel kick between two kickers or two sides. Circle kick uses upward kicks only for keeping the shuttlecock from touching the ground. Duel kick has become popular among younger Chinese players, using “flat kick” techniques like goal shooting techniques in soccer sports. Therefore, the “powerful flat kick” techniques are applied in Chinese JJJ games as a major attacking skill. Competitively, the government-run game is called “Hackey-Sack ( 毽球)” played on a rectangular court 6.10 by 11.88 meters, divided by a net (much like badminton) at a height of 1.60 metres (1.50 metres for women). A brand new game of Ti Jian Zi called “Chinese JJJ” has been invented by Mr. John Du in 2009 by video published on website www.100helps.cn, which uses low middle net of 90 cm and inner or outside lines of the standard Badminton Court for different types of JJJ. “JJJ” means “Competitive Jianzi-kicking” by Chinese spelling. 3 Chinese characters”竞技毽” all with “J” as first letter by Chinese spelling. The most interesting & important feature of Chinese JJJ is to applying soccer’s shooting goal techniques for exciting attacking each other over a low middle net, which was unrealized dreams of Czechs & Americans for almost a century since 1920. The book “Chinese JJJ Rules & Judgement” in Chinese has been published by China Society Pressing House in May 2010, the English version of the book is translating now & will be published before the end of 2018 by author’s plan. In first 2 years from 2009 to 2011, as indicated in book “Chinese JJJ Rules & judgement”, 5 formal events included in Chinese JJJ just similar as in Tennis games: Men’s & Women’s Single, Men’s & Women’s Double, Mixed Double. Then in Oct. of 2011, as a major formal game type currently, Team Game Rules was published on official website www.100helps.cn by Chinese JJJ Association(CJA), having 3 players on each side, and longer court as Badminton Court’s Outside Bottom Line & Inner side lines for wideth. Nine major events were played between 2009 and 2015, including 4 “CJA Chinese JJJ Beijing Invitational Tournaments”, 3 CJA Grand Prixs(2012–14). The first Invitational Tournament(2011) participated by 14 teams & “German JJJ King” Martin, a former professional Soccer player from city Potsdam & student of Beijing Language & Culture University(BLCU). The 2nd one participated by 28 teams & Mr. Gabriel Patin, Vice Secretary General of American JJJ Association(AJA), a Soccer fans, either. In Dec. 2012, “The 3rd Beijing Invitational Tournament” was played & participated by Swedish JJJ Team “North Pole Panda”, organized by Swedish Soccer fans & bought Jianzi & Net kit from CJA by mail. on June 4, 2016 CJA will hold CJA 5th Beijing Invitational Tournament, amybe “CJA’s 1st Simgapore Invitational Tournament” instead due to Shuttlecock Association(Singapore)’s big efforts to spread JJJ in Singapore since oral agreement reached by its leader & JJJ’s inventor in 2011. As an average player’s tournament, “Chinese JJJ Beijing Invitational Tournament” is widely opened to all JJJ fans of china & the World, limited by capacity of Gymnasium only. The first 8 winner-teams have rights to register to next Chinese JJJ Grand Prix with cash awards. Referring to General Administration of Sport of China’s official website, on May 13, 2012, in city JinZhong of Province ShanXi, named by General Sports Administration as “National Shuttlecock Model City”, successfully held “The First JinZhong JJJ Invitational Tournament” , as the first JJJ tournament hosted by local government & sponsored by a big local enterprise. In 2015, CJA held “CJA 2015 Inter-city Duel Tournament” played by Beijing, Tianjin & Province Hebei’s Langfang. On Oct.2, CJA held “CJA 2015 First Women Tournament in Beijing Bird Nest Club” by strong calls of female fans of Chinese JJJ. There will be 2 CJA big events in June & Oct. 2016. A Invitationa Tournament & a Grand Prix. Jianzi as folk sport. There are several variations of the game, such as trying to keep the feathercock in the air until an agreed target of kicks (e.g. 100) is reached, either alone or in a pair. In circle play, the aim may be simply to keep play going. In all but the most competitive formats, a skillful display is a key component of play. There are 2 informal games in Chinese JJJ games using the same middle net: “Team game” having 3 players on each side & “Half court game” using just a half court for double player game only. Freestyle discipline is very similar to freestyle footbag, where players perform various kicks, delays and other dexterities without touching the shuttlecock with their hands. Many footbag tricks were initially inspired by Jianzi, but later it turned the other way around and Jianzi freestylers seek inspiration in meanwhile more developed sport of footbag. The first known version of jianzi was in the 2nd century BC in China’s Han dynasty, called cuju, which was called as “Primary Source of contemporary Soccer Sport” by FIFA’s former President Blater at a press-conference of his visit to China in 2004. Then in the 5th century BC, The name da cau was used in Vietnam, meaning simply to “kick shuttlecock”. The game is believed to have evolved from cuju, a game similar to football that was used as military training.Over the next 1000 years, this shuttlecock game spread throughout Asia, acquiring a variety of names along the way. Jianzi has been played since the Han dynasty (206 BC–220 AD), and was popular during the Six Dynasties period and the Sui and Tang dynasties. Thus the game has a history of two thousand years. Several ancient books attest to its being played. Jianzi came to Europe in 1936, when a Chinese athlete from the province of Jiangsu performed a demonstration at the 1936 Summer Olympics in Berlin. In Germany and other countries people began to learn and play the sport, now called “shuttlecock”. In June 1961, a film about the sport called The Flying Feather was made by the Chinese central news movie company, winning a gold medal at an international movie festival. In 1963, jianzi was taught by teachers in elementary school so that it became even more popular. Well known in Asia, the game has been gaining popularity in Europe. The International Shuttlecock Federation (ISF) was founded in 1999. The first world championship was organized by Hungary in Újszász in 2000. Until then, various countries took turns organizing championships. The sport continues to receive greater recognition, and was included as a sport in the 2003 Southeast Asian Games and in the Chinese National Peasants’ Games. Among the members of ISF are China, Taiwan, Finland, Germany, the Netherlands, Hungary, Laos, Vietnam, Greece, France, Romania, and Serbia. Vietnam and China are generally considered best, while in Europe, Hungary and Germany are strongest. On August 11, 2003, delegates from Finland, France, Germany, Greece, Hungary, Romania, and Serbia founded the Shuttlecock Federation of Europe (S.F.E.) in Ujszasz (Hungary). After being invented in 2009, Chinese JJJ got much faster spreading all over China due to its techniques similar to soccer sport, its simple skills friendly to beginners and its fun for skilled players. In June 2010, Chinese JJJ’s “The First Beijing Invitational Tournament” held successfully, having participation by foreign players such as “German Shuttlecock King” Martin, who was a former professional soccer player before studying in Beijing. In 2 years till May 2011, there were foreign players of more than 10 countries played the game, proving firmly the game’s attractiveness to soccer players. In 2011, the first formal Chinese JJJ Championship will hold in province ShanDong, and a couple of other provinces are planned to follow. In August 2011, an American company released a toy called Kikbo based on jianzi. In 2013, a patented invention, KickShuttle, was introduced to the public by a Hong Kong company. KickShuttle is a revolutionary form of jianzi that is not made with feather. Yet it is similarly light-weight and easy-to-maneuver, and more durable, versatile, and hygienic. Playing shuttlecock is a vigorous aerobic exercise, and provides the health benefits of any active sport. It also helps to build hand-eye coordination. The official featherball used in the sport of shuttlecock consists of four equal-length goose or duck feathers conjoint at a rubber or plastic base. It weighs approximately 15-25 grams. The total length is 15 to 21 cm. The feathers vary in color, usually dyed red, yellow, blue and/or green. However, in competitions a white featherball is preferred. The Official Jianzi for Competitions The shuttlecock used in Chinese JJJ games weighs 24-25 grams. The height from the bottom of rubber base to top of the shuttlecock is 14–15 cm, the width between tops of two opposite feathers is 14–15 cm. Indiaca or featherball is played with the same shuttlecock as jianzi but on a court, similar to a badminton court, and played over the net using the hands. Kemari was played in Japan (Heian Period). It means “strike the ball with the foot”. Chinlone is a non-competitive Burmese game that uses a rattan ball and is played only in the circle form, not on a court. Where to buy them ? We found them very cheap on alibaba but maybe you can buy them somewhere local too. So in short it’s a really nice historical game to play informally and healthy for the kids because of moving instead of playing compurergames. Thanks for reading this article and don’t forget to like us ! watch more video’s on our youtube channel. 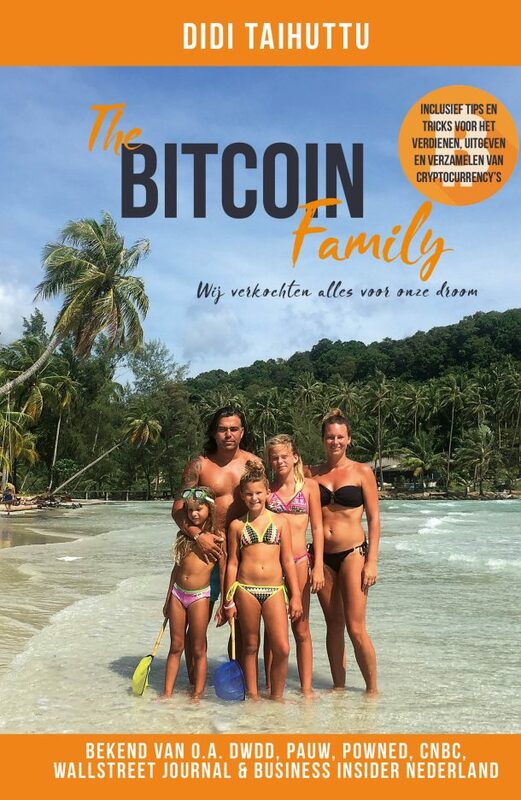 Please sell your bitcoins, making money is no easy, don’t risk your family future because of betting. You can make money making videos on youtube of your fabulous lifestyle in countryside. All you fans will be sad is you lose.